USP is developing a broad range of standards addressing biological medicines for the USP-NF that encompass monographs, general chapters and associated reference standards. Special focal points of the current revision cycle include the development of standards for peptide and protein products. This presentation will focus on the role of compendial standards in the control and measurement of process-related and products-related impurities in biotherapeutics. Dr. McCarthy is a Senior Scientific Liaison in USP’s Global Biologics Department. 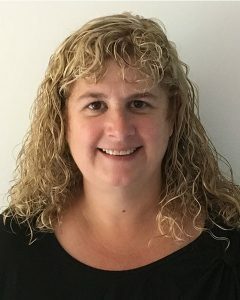 Diane works with USP Expert Committees as well as several Expert Panels to develop documentary standards (chapters and monographs) and Reference Standards that support biopharmaceutical quality assessment. Prior to joining USP, Dr. McCarthy was Senior Scientific Director at Caprion Biosciences, where she focused on the use of mass spectrometry for characterization of biologics and host cell proteins. Her previous roles also included Director of Scientific Affairs at Ezose Sciences, where she focused on identification and quantitation of glycans by mass spectrometry and Global Manager, Biomarker Research Center, at Bio-Rad Laboratories, where she directed translational and biomarker research contracts and collaborations with industry, key consortia, academic, and government groups.